Brookdale Health Hydro is a tranquil haven bordered by forest, farmland and a meandering stream. 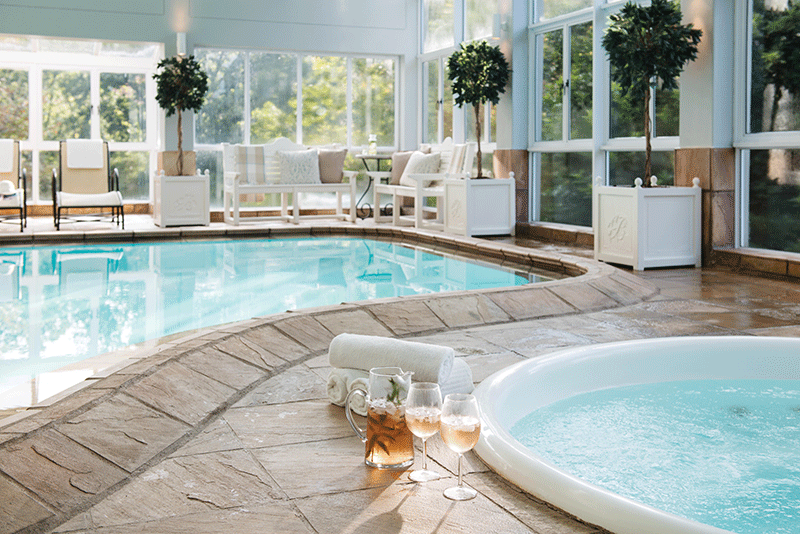 Brookdale is not a spa attached to a hotel but a TRUE WELLNESS DESTINATION. At Brookdale relaxation is at the core of de-stressing. Our well qualified and professional staff deliver a high standard, focused on restoration and rejuvenation. Concentrating not only on pampering with the usual spa amenities and treatments, but also on exercise, healthy eating and stress relief, as well as education on all these topics. We are known for delicious and beautifully presented cuisine. Three balanced meals as well as healthy morning and afternoon snacks are served daily. Brookdale offers 2, 3, 4 and 6 night fully-inclusive stress relieving packages. We offer en-suite accommodation to suit individual tastes ranging from standard rooms to forest suites. Escape from the daily stresses, make a positive change and restore your well-being by taking that much needed “me time” vacation. Johannesburg – approx. 6.5 hours with a quick coffee stop. Book your stay 3 months in advance and receive a R500 Treatment Voucher to use during your stay. Cooking Demo – clean eating inspiration with tasters and take home recipes. NOTE: Our dress code is very casual. Gowns and towels are supplied. in time is strictly 14h15. Regret no lunch is served on Sundays. Scheduling of treatments will begin on Monday. Please feel free to kick-start your relaxation process on arrival by making use of the facilities. ensure you arrive by 12h00. • Payments are due upon making bookings. • We require cell & landline numbers, as well as email addresses for all bookings. • If the deposit is not received by the stipulated date, the booking will be automatically cancelled. • Additions or changes to bookings may not always be accommodated. • In the case of a no show 100% of the deposit will be forfeited. 1. 100% of the deposit will be forfeited should the booking be cancelled 48 hours or less prior to the arrival date. 2. 75% of the deposit will be forfeited should the booking be cancelled 48 hours to 7 days prior to the arrival date. 3. 50% of the deposit will be forfeited should the booking be cancelled 7 to 14 days prior to the arrival date. • Deposits for bookings cancelled, where the room is resold, will be held in full for a future booking or refunded to you. An admin fee of 10% will be charged on any refunds processed. or refunded to you. An admin fee of 10% will be charged on any refunds processed. • Gift vouchers are only exchangeable for stays/treatments/products and may not be redeemed for cash. • Gift vouchers are valid for three years from date of issue. • Prices are inclusive of VAT and are subject to change. • No cash change will be given. • Please safeguard your gift voucher as it cannot be replaced or any value thereon redeemed if lost or stolen. • In order to redeem the voucher it must be brought in. • Gift vouchers purchased are non refundable. • Gift vouchers shall be deemed to be redeemed at the time that confirmation of the booking is received. • *50% / **100% of the booking price will be forfeited should the booking be cancelled 48 hours or less prior to the arrival date. • *25% / **75% of the booking price will be forfeited should the booking be cancelled 48 hours to 7 days prior to the arrival date. • *12.5% / **50% of the booking price will be forfeited should the booking be cancelled 7 to 14 days prior to the arrival date.